Your little princess will eventually grow up and embark on her own in the big, wide world. You're proud of her independence, but send this card to reassure her you'll always be there for her no matter what. 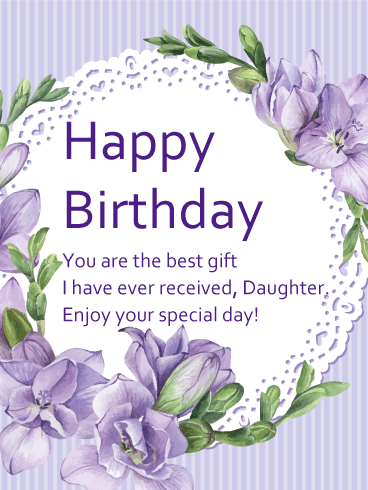 Your daughter will absolutely love the message of the 'always in my heart' happy birthday card. Especially with its charming photo of a father and daughter striking a triumphant pose together at the beach. 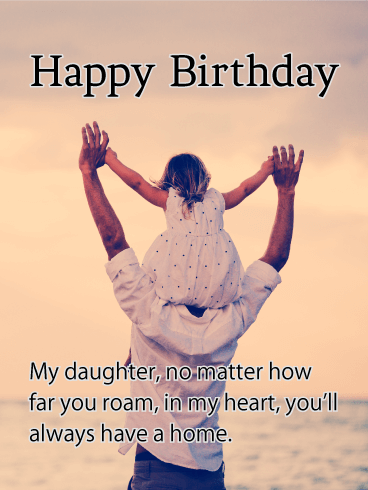 Happy Birthday - My daughter, no matter how far you roam, in my heart, you'll always have a home. Your daughter will forever be your baby girl. 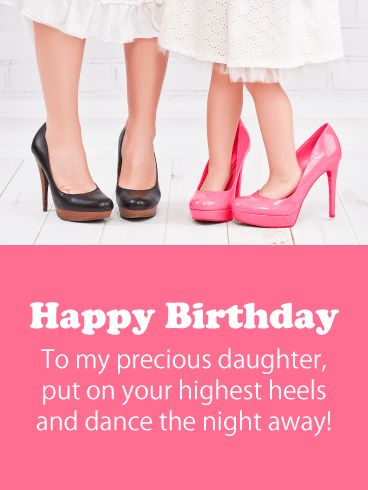 Even if she's grown enough to fill your shoes now you will forever remember her toddling around in your own high heels when she was young! 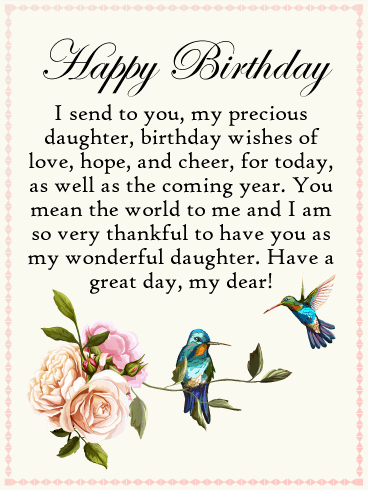 Send this happy birthday card so she knows you think she deserves this special day to cut loose and dance the night away! 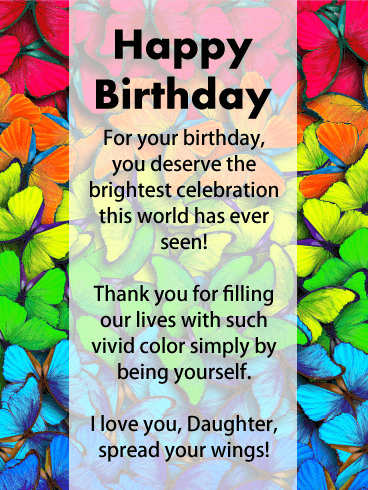 The watercolor birthday font design is almost as precious as she is! Little kids love to play dress-up and make-believe and we're betting your daughter was one of them! 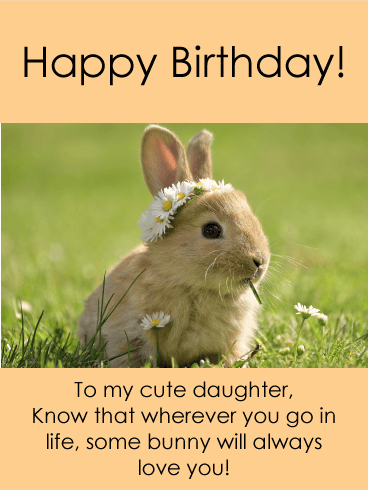 Whether your birthday diva is still in the dress-up stage of life, or whether she's matured into a stylish woman, she will love you for sending her this adorable (yet classy!) 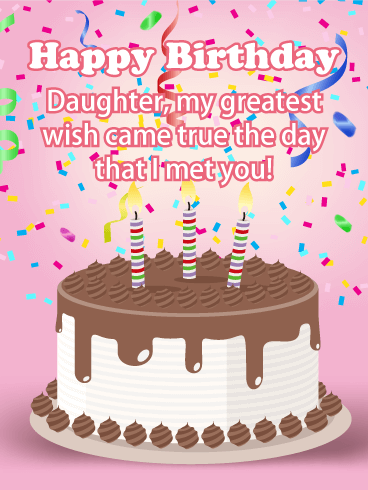 happy birthday card! 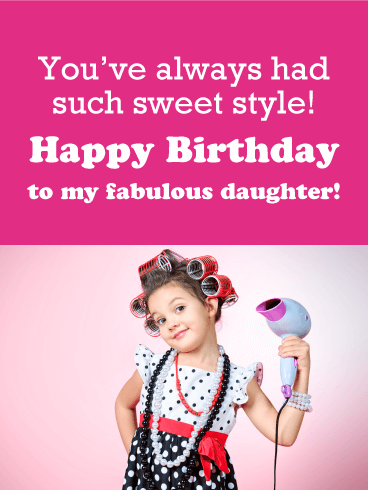 The pint-sized model in pin-curlers is so retro chic, this card is a guaranteed hit! For the brave, daring, adventure girl in your life! 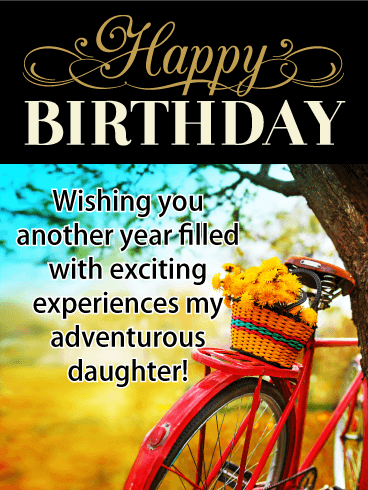 Sending this happy birthday card, with its red, vintage bicycle at sunset, is sure to delight your thrill-seeking daughter! 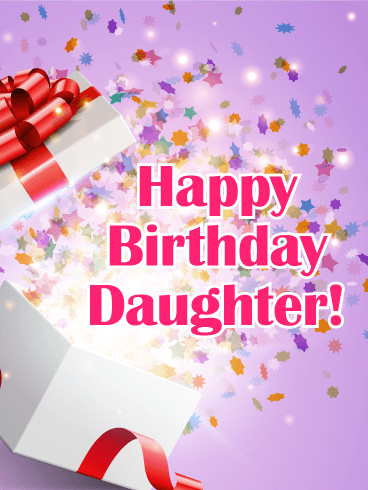 She will appreciate your heartfelt wish for her to have yet another year full of fun, new experiences! The basket of cheerful, yellow flowers on the back of the bike really completes the idealistic imagery! You want the absolute best life possible for your daughter, right? And you want to let her know how much you believe in her and have her back! 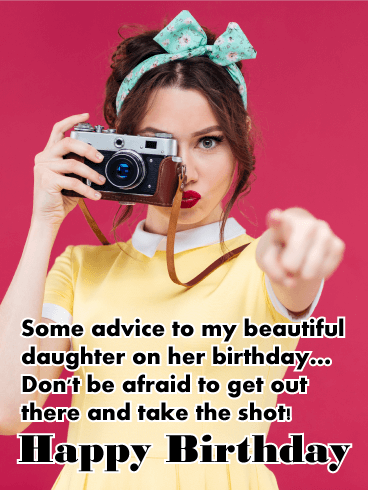 Send her this super stylish birthday card of a young woman pointing with a camera to encourage her to be bold and take whatever amazing shots come her way! She's got this! 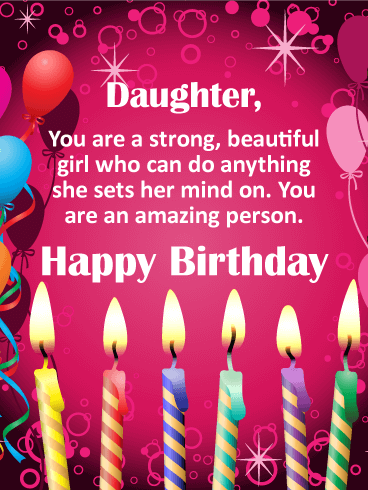 Your daughter will be totally blown away when you send her this tasteful birthday card with eye-catching retro details like an old telephone. An aqua, vintage bicycle boasts a basket full of fresh flowers and stands out brilliantly against the rustic, wood-paneled background! 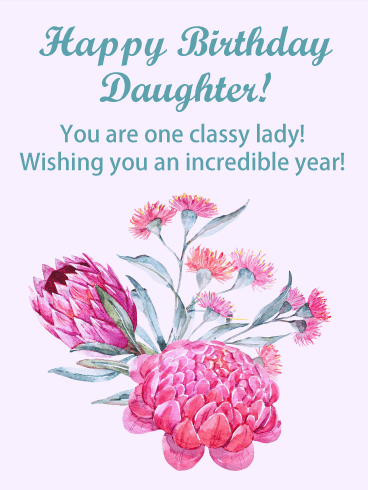 Let your amazing daughter know you're thinking of her fondly and wishing her the most incredible year of her life!